“Beloved child, I am your rest. I am your peace and calm in the storm. I am the roof over your head that will shield you from the storms of life. You’ve been working so hard, and I gave you that gift. I gave you the gift of work. Your work is fruitful and productive for Me and for My Kingdom. But just as I am the God of action, I am also the God of peace. I am YOUR God of peace, and I desire you to take a few days and rest right now. While you are resting, don’t put pressure on yourself. Everything you need to do can wait a day or two. Nothing I have given you to do in this season is so urgent that it supersedes My command to rest. Today, tomorrow, and the next day, I need you to rest. There are some things I want to pour into you right now. I will also be preparing you for some things I am about to do in your life. There are special seasons in life in which you receive My directive words–seasons in which you pause to look at the road signs in front of you; seasons in which you wait on Me to guide you. Now is such a season. You have been gearing up for something big, and it’s closer than you know. Your big thing is happening sooner than you know. 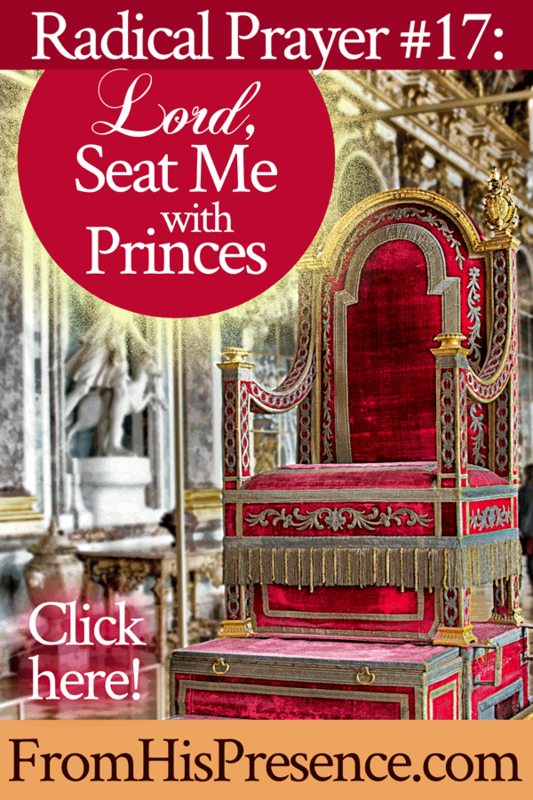 I am about to give you direction into your new season, and I need you to sit with Me a few days to receive it. So come away. Rest. Take the pressure off yourself on purpose for a few days. Everything will be here when you get back to it, and you will be transformed by what I am going to do for you the next three days. Beloved, I don’t know about you, but that word brings rest to my weary soul already. I’m going to obey it. 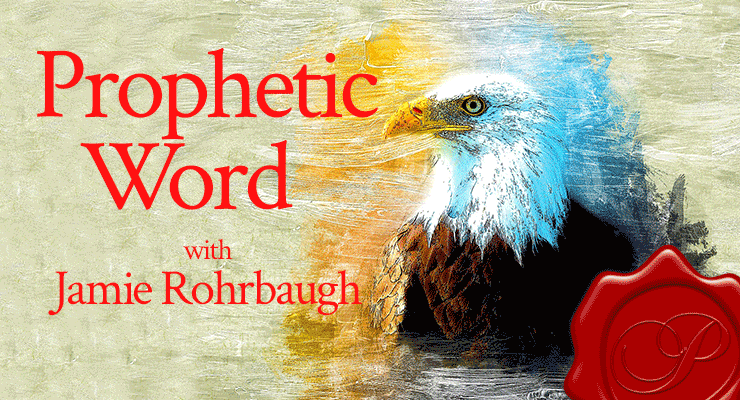 Does this word resonate with you? And if it does, will you obey it? Leave a comment below if so! Hey everybody! Guess what? I’m SO EXCITED to announce that my next Bible Plan, 5 Days to Victorious Fasting, is live on YouVersion! 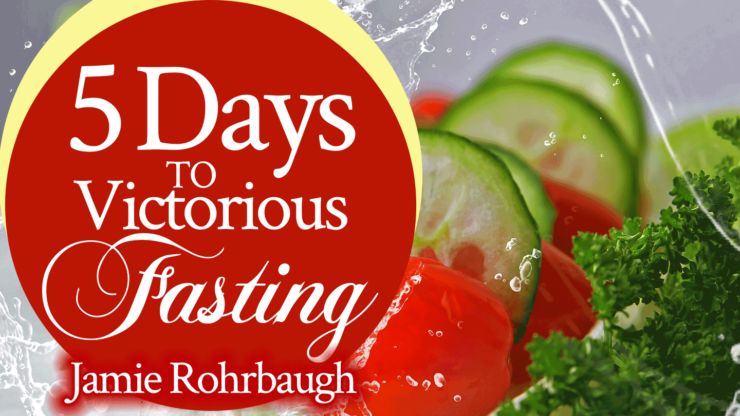 5 Days to Victorious Fasting will help you turn fasting from a burdensome task into a joy-filled dance with our Savior. You need to know about a few fasting hacks that will turn you into a joyous fast-er, by the grace of God! Victorious fasting is all about God’s grace, but His grace is available for your fast. Interested? Curious? 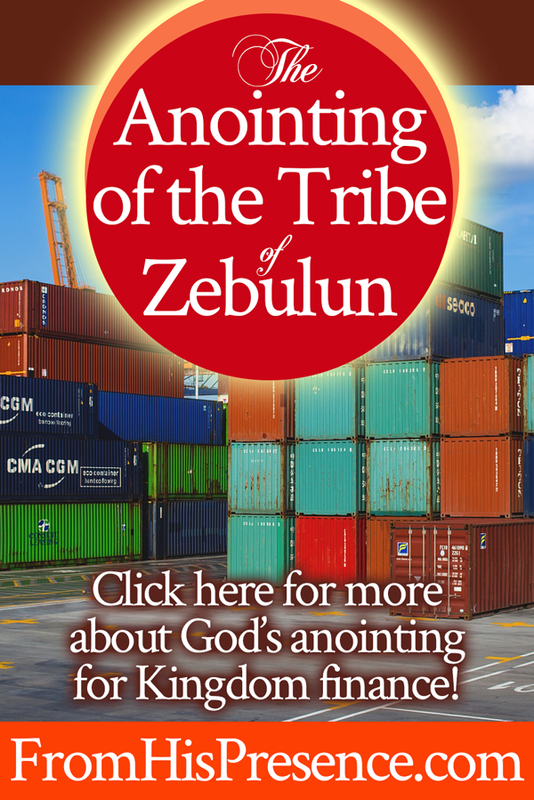 Want to start walking on the miracle territory of joyous fasting? If so, click here to subscribe to 5 Days to Victorious Fasting on desktop, or subscribe to this FREE plan using your mobile device on YouVersion (the Bible app)! stealing your favor for no logical reason. But the Lord wants you to know today that the devourer is an illusion. 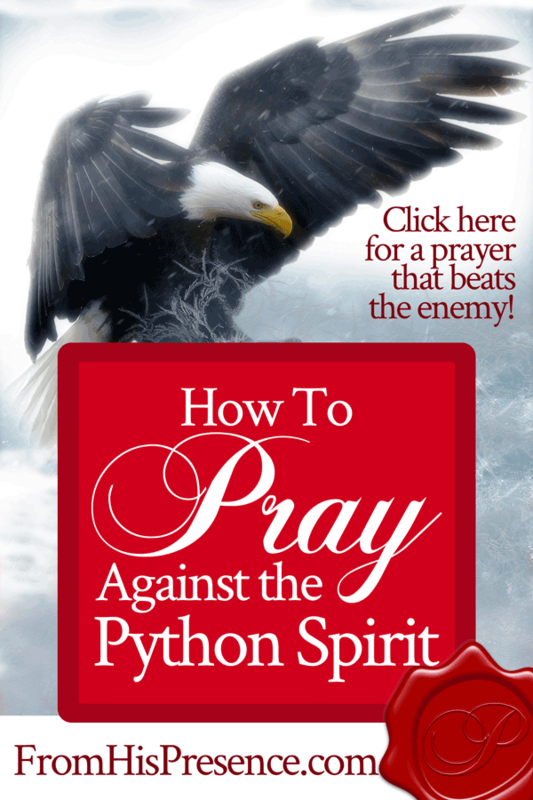 I received a ton of questions recently after I released a prophetic word saying that You’ve Been Fighting Witchcraft and You Didn’t Even Know It. The questions were about 1) avoiding witchcraft, and 2) taking communion. 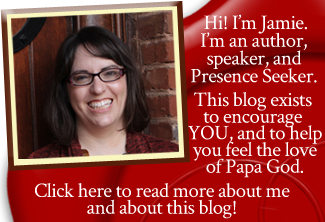 In this blog post, I’m going to attempt to answer questions I received about communion. I’ll discuss avoiding witchcraft later. 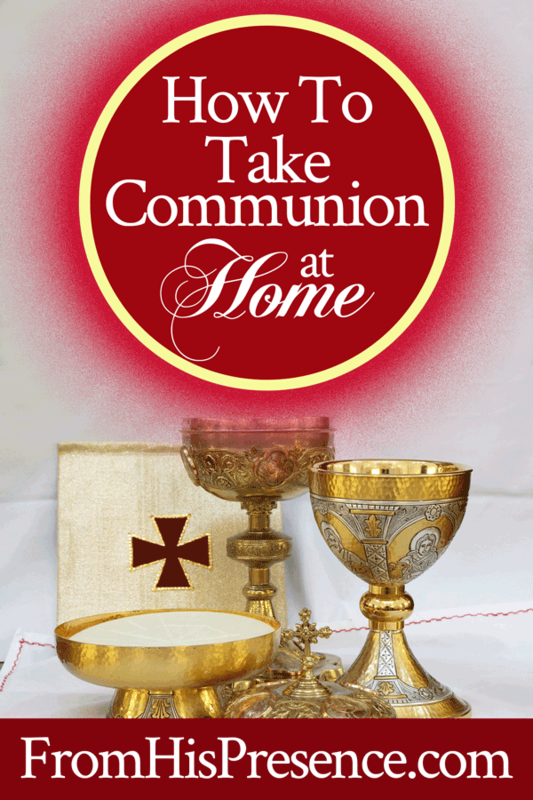 The link below for pre-filled communion elements is an affiliate link. This means that, if you decide you want pre-filled communion elements and you purchase them using my link, this ministry will be paid a small commission by the manufacturer from your purchase. Thank you for helping support the ministry in this way. I was hurting really badly. Something had been done to me that was devastating, and my heart was broken and bleeding. Beloved, have you learned to survive without favor? Is the Lord blessing you with His own favor, even if the favor you used to have with certain people is gone? The Lord is giving you favor you don’t need. Click here to give via PayPal or here to partner, donate, or purchase products via Gumroad. Thank you so much in advance! We appreciate you! You have made tremendous progress while you depended only on the Lord for your favor. You have learned and grown. The Lord has split open the proverbial Red Sea for you. He has made a way in the wilderness and a path through the mighty waters. Throughout all this, you have accomplished more than you ever dreamed. Some of those accomplishments have been evidenced by internal growth. You made it through things you thought were too strong for you, and you have grown tremendously as a result. However, some of those accomplishments can also be seen on the outside. You have done some things that have made others gape in awe at your life–and at the work of the Lord. “I am giving you favor you no longer need. You have called upon Me, and I have answered you. I have been with you in trouble. I have delivered you, and I have honored you publicly. But now, I will honor you more. I am honoring you because I want to, and because you depend on Me. If you sought the honor of men as your desire, there would be nothing I could do for you. Men’s honor is an idol, and I would have to deal with your heart for seeking the honor that comes from men, rather than the honor that comes from Me. But you have not sought the honor of men. You have sought Me and My face. And because you are seeking Me, and have been seeking Me, I choose to reward you now. Be on the lookout for My favor–favor you do not need, but which I choose to give you anyway. I am clothing you with favor. I am draping you with it; girding you with it; surrounding you with favor as with a shield. I am doing these things because I am the Lord, and nothing is beyond My reach. Nothing is too hard for Me. No blessing is beyond My ability to pour out on you. I will always bless your spiritual life first, for it is most important. In this season of favor, you will have deeper encounters with Me and My Spirit than you have ever had. Ask Me for the types of encounters of which you have only dreamed–the dramatic, supernatural things you see in the pages of Scripture–and I will give them to you. Also, I would like to remind you that the early bird gets the worm. You have been contending and contending early in the mornings with Me, and now the prizes for which you have been contending will burst forth suddenly. You have been learning at one rate, but you are about to learn at an accelerated pace. You will find yourself graduating from some lessons this month and entering others. I say it again: you will graduate. No longer will you go around and around the mountain of adversity. You have learned your lessons well, and you pass the test. Because you are passing the test this month, I am giving you governmental authority to lead other people out of the wilderness. Be sure to teach the people well whom I send you. I have confidence in you; you are fully able and equipped to do it. I believe in you! You will see victory in your children this month. My wings have been outstretched over them all this time, even when you have not seen it. But this month, you will see your children experience victory and breakthrough. Prepare the wreath of laurels for their head. Prepare to support and encourage them as they experience victory in a whole new way. Your role is changing from intercessor with no voice to encourager with great influence. You will find opportunities on every side to encourage your children. Take advantage of every one. This month, you will fly high with your finances. Where you have been seated watching the skies, you will now find yourself flying amidst the clouds. Others will watch and be amazed. You will have a testimony. This will be your first flight of many in your finances. Say not, “I hope it lasts.” Instead, say, “Thank You, Father, for the early rain and the latter rain poured out on me together!” Thank Me and trust the wind of My Spirit, for it is not by might, nor by power, but by My Spirit that you can experience these things. Things will happen that look like they will take you down, but these things are only illusions. They are darts sent by the enemy to attack you. Rebuke them in the name of Jesus, and command them to leave you. They are not real–only distractions. They are the enemy offering you the chance to doubt Me. Refuse his unholy offering and laugh at what he says, for he has no authority or power in your life. Reject the “burrs” the enemy tries to put under your saddle and continue to fly high with Me. Keep your eyes on Me by offering a continual melody of praise and gratitude to Me, for nothing will be able to bring you down. “For I am persuaded that neither death nor life, nor angels nor principalities nor powers, nor things present nor things to come, nor height nor depth, nor any other created thing, shall be able to separate us from the love of God which is in Christ Jesus our Lord” (Romans 8:38-39). Nothing can separate you from Me, and this month you will see that I have been with you all along. Nothing can separate you from My love or from My goodness, and I am the Giver of good and perfect gifts. Believe Me. Receive from Me. Thank You, Jesus! I receive this word! Do you? 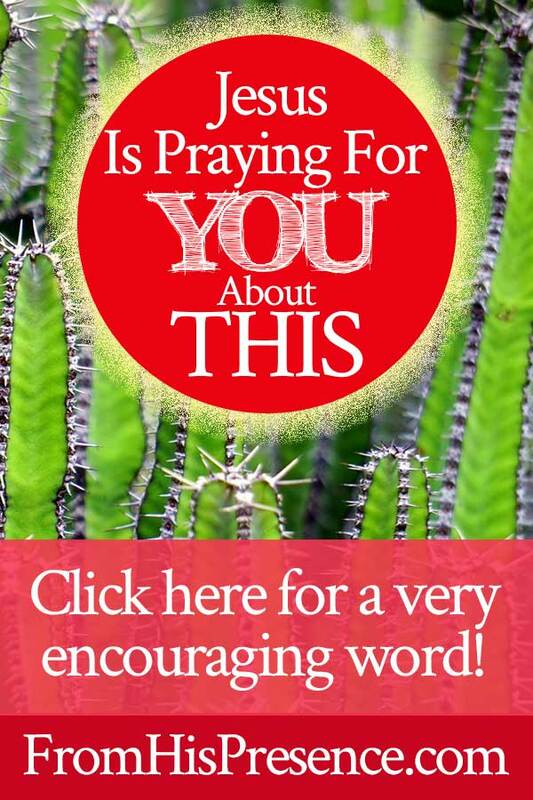 If you receive this word, leave a comment below! And if Holy Spirit spoke something to you above that confirmed what He has already been showing you, please do share!